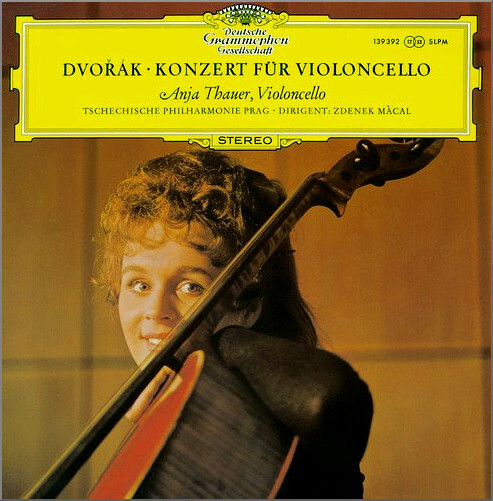 Deutsche Grammophon has spun the story of signing its first ever female cellist Camille Thomas, and the news has dutifully been re-spun by clickbait master Norman Lebrecht. 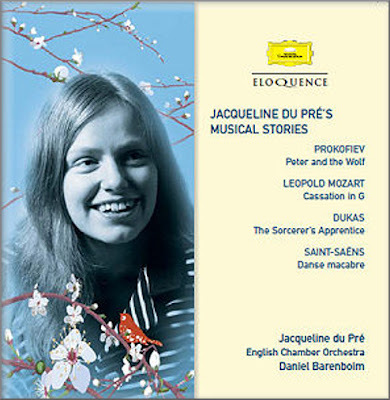 Why is such a story circulated when anyone with even a cursory knowledge of classical music knows that Anja Thauer in 1968 - see above - and Jacqueline du Pré in 1979 - see below - not to mention other soloists and chamber players have made recordings for DG, for which they must have signed a contract? Not to mention the countless rank and file female cellists in orchestras contracted to record for DG over the decades. And coming to that, why would Vladmir Spivakov's Moscow Virtuoso Orchestra promote a concert of male composers' music as a celebration of International Women's Day? The inconvenient truth is that #female has become just another exploitable marketing gimmick in an industry that is addicted to marketing gimmicks. Now before the music thought police take further sanctions against me, I will point out that On An Overgrown Path was arguably the first blog to start arguing the case for female musicians in a 2006 post titled BBC Proms 2006 lacks the eternal feminine. (In the same year Stormin' Norman was still deprecating music blogs, quite presciently as it turns out, as a corrupt form of journalism.) And over the past eleven years OAOP has championed numerous women musicians; for instance I recently highlighted the completely forgotten Kathleen Riddick who was the first woman to conduct at the Festival Hall. But I have always tried to champion the cause of women in music in a balanced and truthful way. I have also tried to put their cause into the context of other inequalities that also urgently need correcting, but which do not have the same clickbait appeal. The current gender imbalance in classical music is unacceptable and must be corrected, and others have done far more important work than me in arguing the female case. Undoubtedly the battle for gender equality is still a long way from being won. But the correction of this legacy imbalance is going to take time to work through the classical music ecosystem. It will be damaging if the correction proceeds too slowly. But it will also be damaging if the correction is forced through and championing female musicians is exploited as no more than a short-term marketing opportunity. As has been seen too often recently, the female cause is being cynically exploited by the music industry in a way that is damaging all the invaluable work that has been done, and must continue to be done, to give women their rightful place in classical music.